What an ending to an incredibly good series. China has a difficult choice to make in choosing between two men. I had my hopes on Jackson even though I had a soft spot for Clarke as well. The reader is kept in the dark, much like the two guys, right up to the moment where she finally makes her choice at the end of the book. The love triangle is a central theme running through the series but the story is much more diverse than that. There is the mystery surrounding China's mother's death. Was she murdered? and why? China decides to go it alone to track down her mother's killer which leads to the resurfacing of painful memories and to a father with blood on his hands. The events surrounding her mother's death are very sad and emotionally charged. A day in the life of China Mack is full of action and suspense. It doesn't matter which mam she spends her day with she will still end up battered after fighting off dangerous criminals. The many twists and turns kept it fresh and exciting. It helped that there was humour in the interactions between Jackson and Clarke. Their jealousy fuelled them to behave quite juvenile like at times but I liked that they could put their feelings aside to work together in helping China when she needed it the most. I loved every minute of this series. 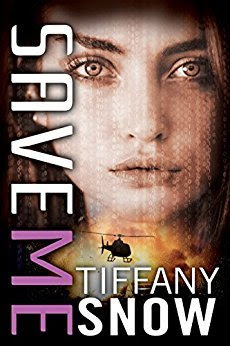 I'm already counting the days until the next Tiffany Snow book releases. Save Me will be available to buy from Tuesday the 17th of April.